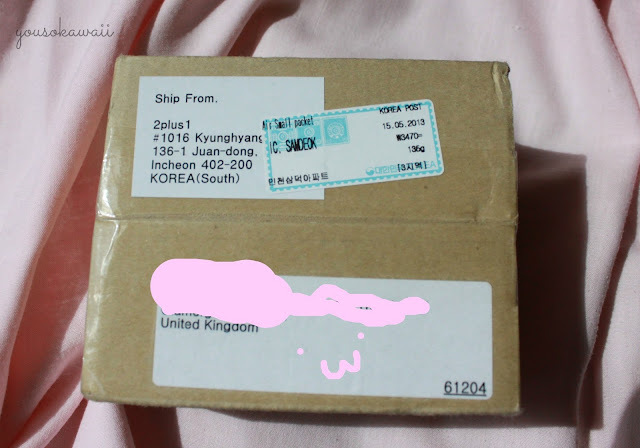 So about two and a half weeks ago (yeah the shipping was pretty fast) I ordered some cosmetics from f2plus1 on ebay. It's a South Korea based store that sells a LOT (and I mean like 150 pages) or Korean cosmetics. I ordered: It's skin- Baby Face Petit Blusher in Romantic Red; Tony Moly - Petit Bunny Lip Gloss Stick in Juicy Apple and Tony Moly - Petite Bunny Hello Bunny in Momo Fruity. All in all this came to just over £15 (about $23) pretty cheap right? Free shipping too :D. So all in all good price and quick shipping, so now onto the products. 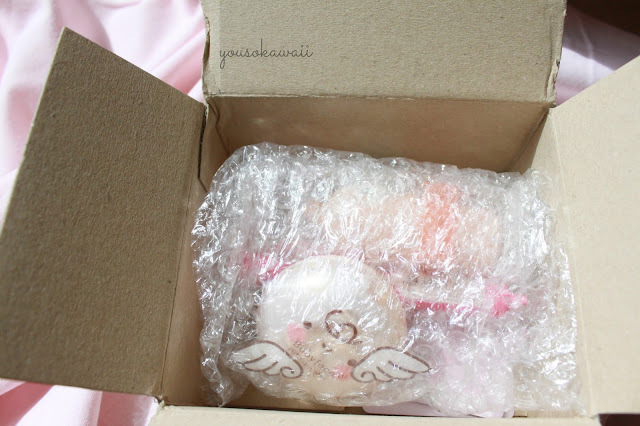 So like I said, ordered two and a half weeks ago (quick shipping) and today reviewed it in a small sturdy box. It was smaller than I thought, but it was big enough for the items. Not much else I can say about that. Here are all the products packaged. They're honestly adorable. 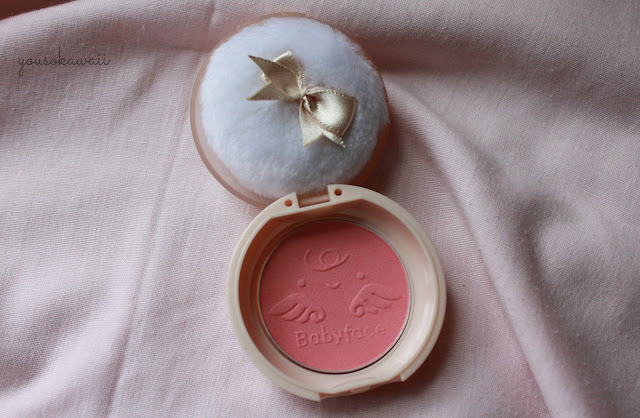 So the first product is the "It's skin - Baby Face, Petite blush in Romantic Red" I chose this colour because it was the darkest. Bear in mind if ordering on f2plus1 that the colour in the main picture isn't the colour you are buying, check the swatches below. I almost bought "Lavender" which is cool but I didn't really want purple blush then, so just check what you're buying. So this is what it looks like opened, it looks redder to me in real life than this picture. This is also adroable with a proper powder puff! 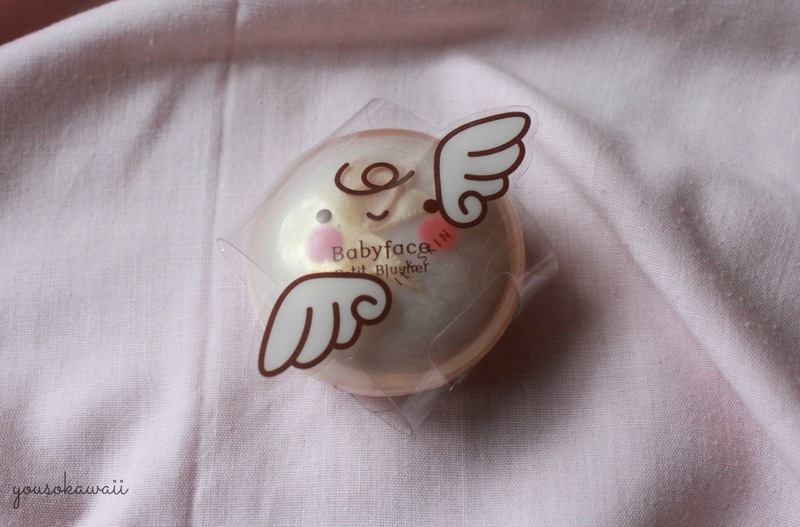 And the baby face logo in the blush ^__^. This cost me £4.64 with free postage. 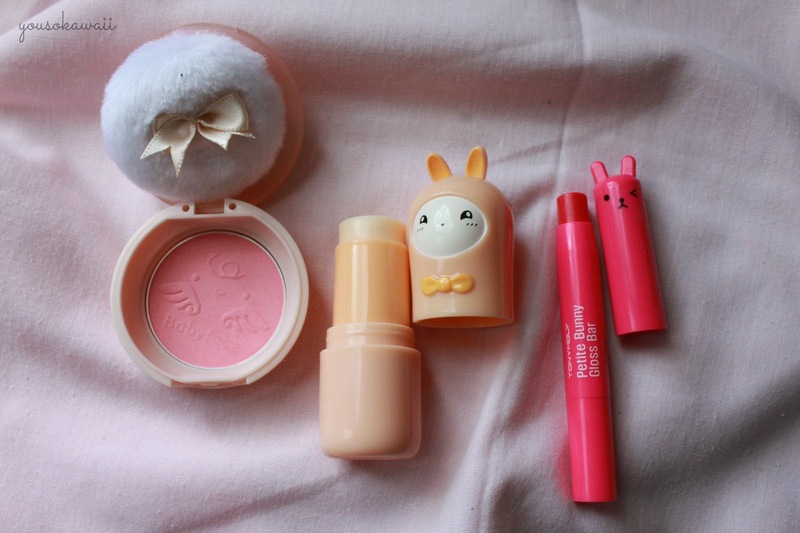 So this is the blusher on my hand, I used about 3 dabs?puffs? of blush here and it's not as strong as I thought it would be. Slightly sparky which you can't really see here. This is it on my face, you can't really see the sparklyness here and although it seems subtle you can definitely see a difference from the with and without. I think it does seem a little stronger in real life and I definitely don't regret buying it. Although the colour fades it stays on for a long time, I've had it on for more than 4 hours now and there's still a good tint to it. I don't think I'm allergic to this, it's hard to tell. And Tony Moly do 3 other colours of this, one more pink, one more orange and one purple. So if I buy those I shall do a review there. This is the gloss on my hands, as you can see it is quite a bright colour. It came off surprisingly smoothly (kind of like lipstick on a hot day) and it was really nice to put on. 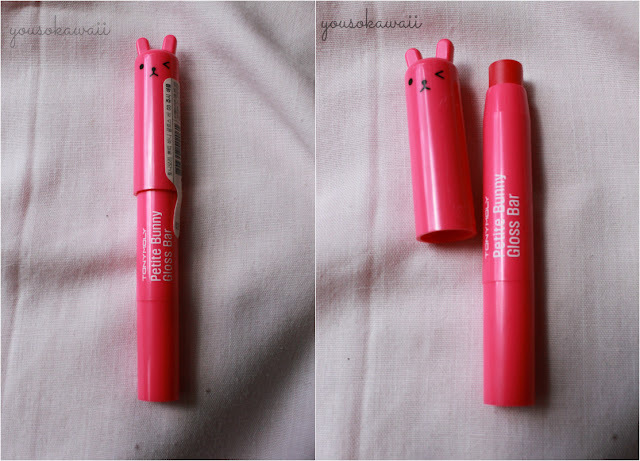 Unfortunately I don't have a picture of it actually on my lips and these just looked really weird. But I can tell you it's quite vibrant on too, its' not as glossy as it looks in the picture but it does feel nice on. As it says o the advery it's a creamy texture. When you first put it on it will smudge off quite easily but once it starts to dry a bit it sticks and lasts a surprisingly long time. Again, like the blush it starts to fade but the colour has stayed on (though now it's not that noticeable) for about 4 hours. 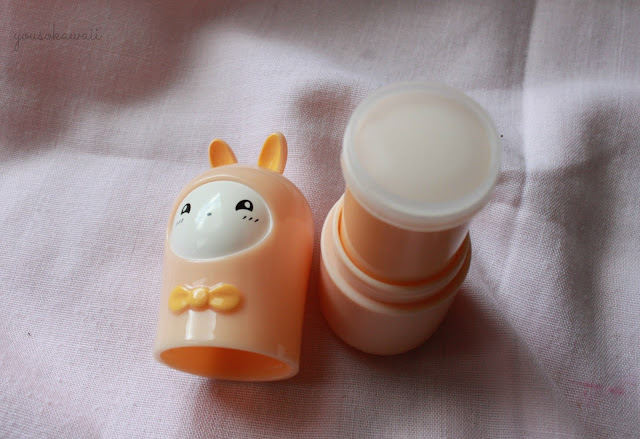 Thirdly and finaly I bought the Tony Moly Hello Bunny Perfume Stick in Momo Fruity. It was £6.43 so the most expensive of the products but I've read other reviews and people say they last along time so it seems worth the money. Plus it's probably the same price as any similar spray you can buy. So when you open it there's a cap on the bar that sort of pops on and off. I guess it's handy for keeping it fresh and I think I'll keep mine on there until it gets annoying. So here it is! 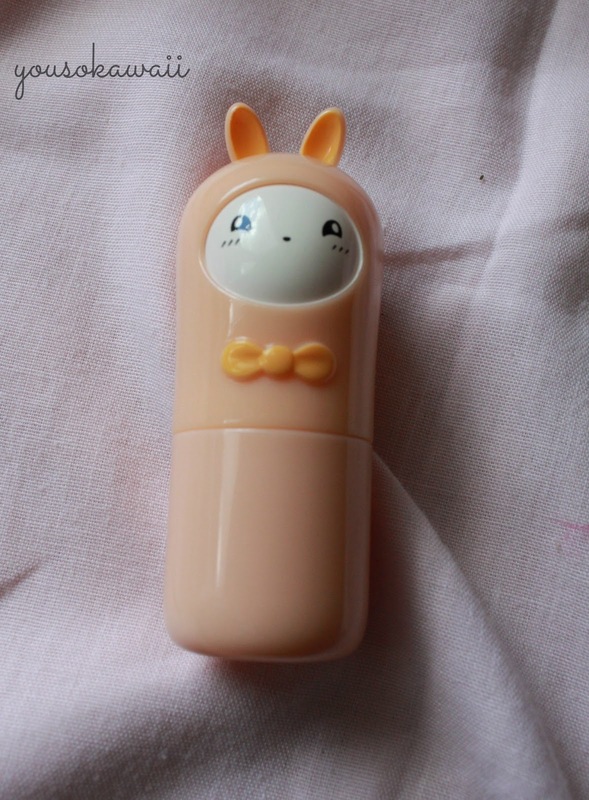 I'd never heard of any perfume stick before now but it's actually quite handy, you don't have to worry about it leaking in your bag or breaking. 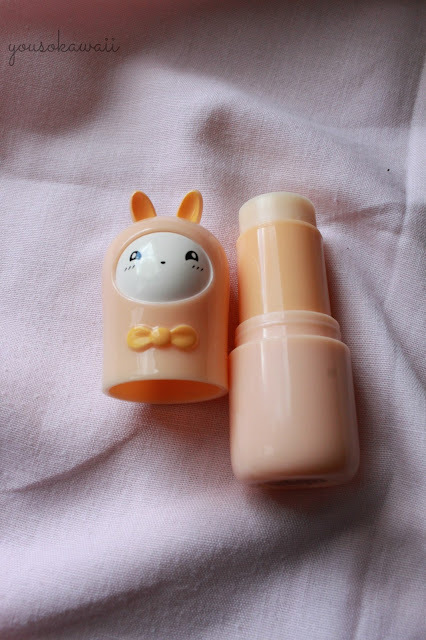 Like the Lip Gloss bar it feels really creamy to put on, it feels a bit like moisturiser. Right the smell is probably what you want to hear about. It is quite fruity but also kind of musty (but not like old lady musty) and rather pungent (I can smell it well with a blocked nose). It reminds me a lot of some of the Harajuku Lovers perfumes but it's not asjuicy as that. I like the smell and personally would wear it a lot, it's not as nice as I was expecting it to be but it's certainly not bad. Oh and as I bought 3 items I got 5 freebies. Some moisturiser and some cleansing foam. Bit disappointing I got four of one product but they were free so I can't complain. I haven't tried these out yet but I may update the review when I do. 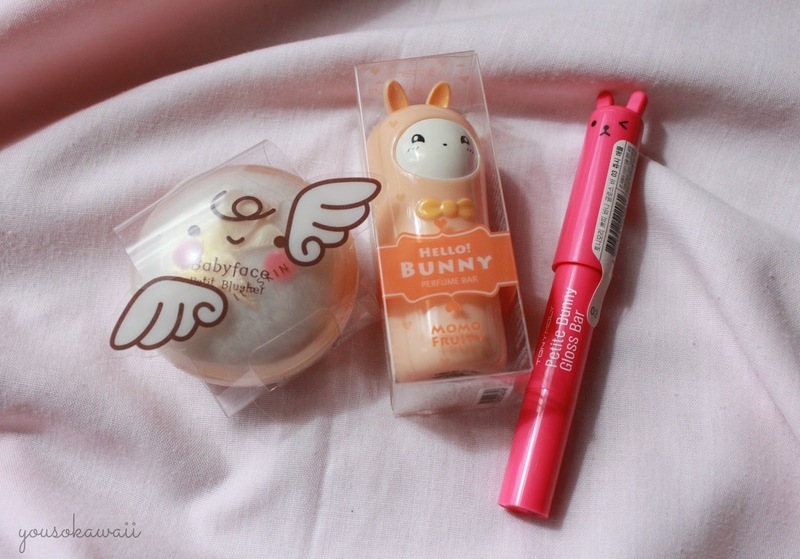 I love Korean beauty products. Your review is awesome I particularly enjoyed you informing us that you popped the bubble wrap 👌 good lass! I'm going to get the blush now. i have the yellow bunny lipgloss and it's so lush I wear it most days atm!